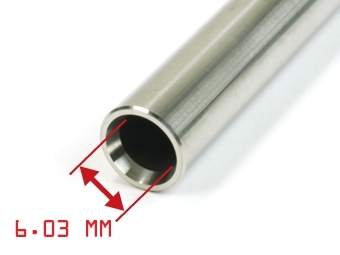 Machined out of high grade stainless steel and to the utmost perfection, the Action Army series of Airsoft Inner Barrels were designed to enhanced the performance of your airsoft gun to improve the accuracy, range, and even power of your shots. 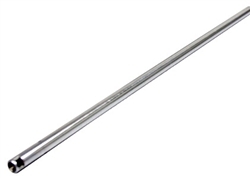 A one piece designed inner barrel designed for airsoft guns with 310 mm length barrels like the M733 or M177 model of airsoft guns, you can swap your existing inner barrel for this enhancing one. With a bore diameter of just 6.03 mm that's just a hair line shy of standard 6mm airsoft BB's, it strikes a perfect balance of providing a superior platform for propelling BB's while able to counter any slight imperfections that one bad BB that can find itself in your barrel to avoid further jams and scratches that can occur.